With paintings such as the Girl with the Pearl Earring by Johannes Vermeer and the Anatomical Lesson by Rembrandt, the Mauritshuis is a key tourist attraction in The Hague. 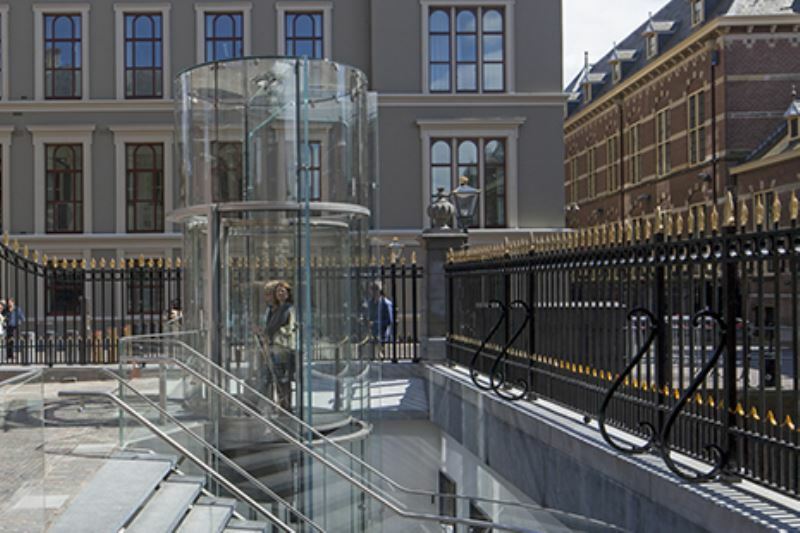 Thanks to the complicated, subterranean walk-through, it has become possible to connect the Mauritshuis with the building across the street. This has actually doubled the surface area of the museum. The museum is located in the historic city centre, which also has an important political function. As a result, subterranean construction is a highly complex activity, which has to be performed very carefully. ABT has applied the latest design technology to make subterranean construction possible and feasible. The construction of the connection between the underground foyer to the adjacent building was a complex and spectacular venture. ABT, the responsible designer, and contractor Volker Staal en Funderingen applied numerous complex techniques. For the walls, cutter soil mixing was used: the soil present was mixed with water and cement to realise a soil and water-resistant wall. 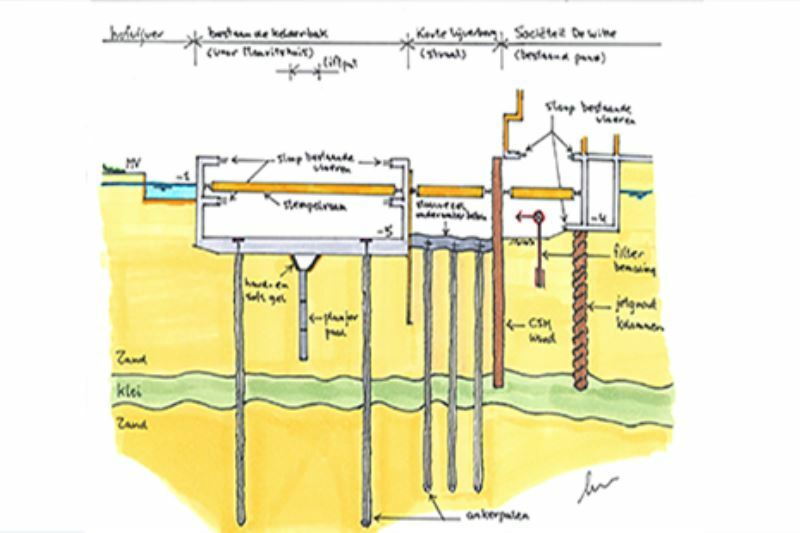 Other innovations included jet-grout columns, soft-gel massives, and fibre-reinforced underwater concrete, as well as jacking techniques. This major underground job was performed without any damage or subsidence regarding the surrounding monumental buildings. This demonstrated that subterranean construction, on the condition that it is done in a well-prepared and careful manner, may provide attractive solutions to spatial issues. 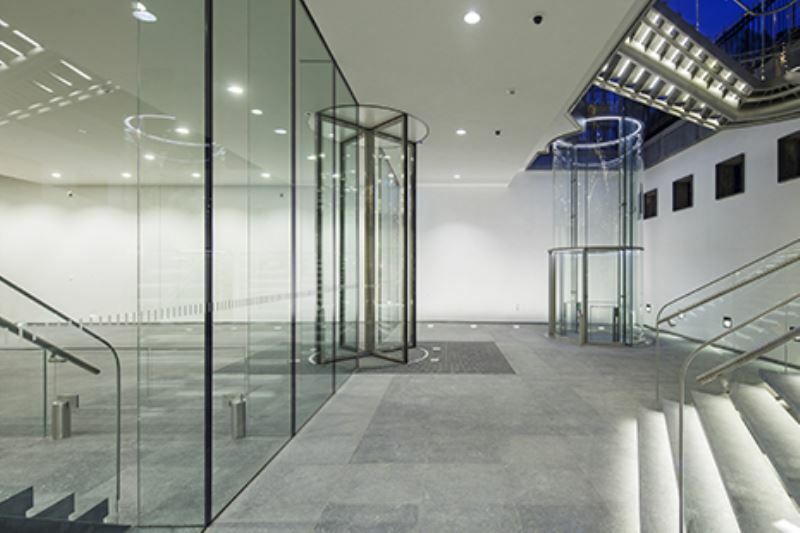 The glass lift takes the visitors from the forecourt to the subterranean foyer. 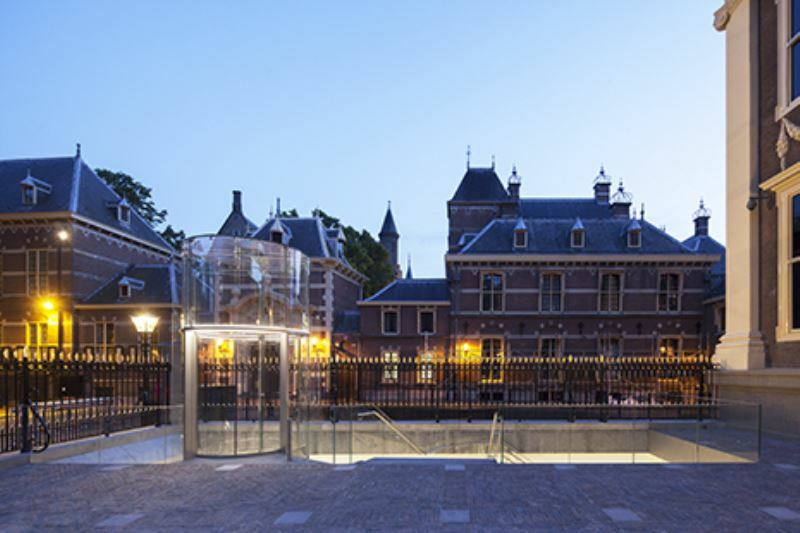 Because of the monumental character of the Mauritshuis, the client had requested an ‘invisible’ lift. Hans van Heeswijk architecten designed the lift, but wondered whether this was feasible. ABT made a structural model to investigate this. 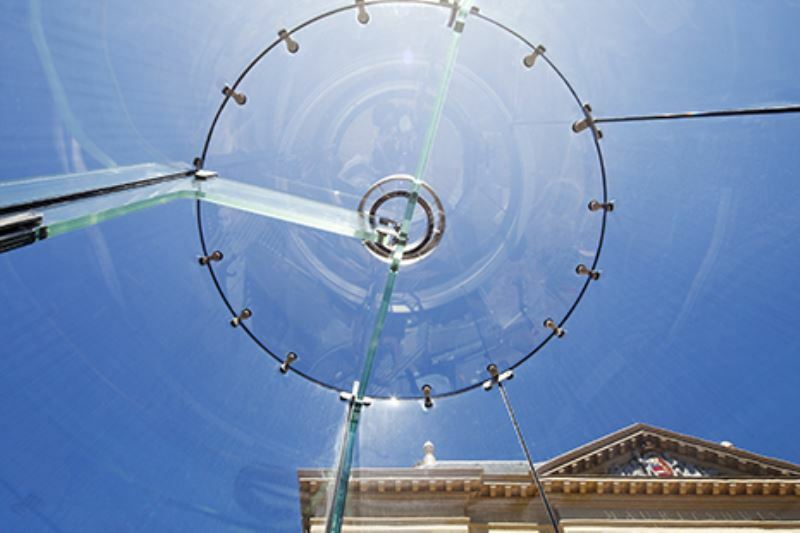 The connections in the glass structure required special attention: these connections, which to a considerable extent determine the amount of distortion, had to be consist of soft materials because of their contact with the glass. By modelling the connections in a 3D model, ABT was able to conclude that a glass lift was, in fact, feasible. Octatube and Mitsubishi were responsible its execution. The expansion of the underground structure has been awarded Foundation Project of the year 2014. The new glass lift was nominated for the Glass Award 2014. Within the design team, ABT looked after the constructional and geotechnical design of the renovation and the newly built parts. The design, in all its aspects, took account of risk control and the prevention of damages. Only tried and tested, vibration-free, and low-noise techniques were used. During the execution, the effects on the buildings in the immediate vicinity were continuously monitored by using a monitoring system. During the building phase, ABT was also deployed for its management and supervision. As a result, the knowledge of the design was directly applied to the supervision of its execution.